Seeking a sugar daddy (or sugar-mama)? 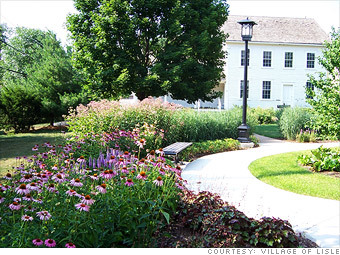 Follow the money to these towns and cities, where affluent young professionals are abundant. This quiet Chicago suburb is the home of the spectacular Morton Arboretum, where you can take a romantic stroll through a shady grove or chase your sweetie through the intricate hedge maze. If you prefer an athlete to a naturalist, hang out at the Four Lakes recreation park, which offers tennis, swimming, golf, volleyball and even skiing in the winter; or practice your swing at the Chicago Bulls/Sox Training Academy batting cages.